Alright. 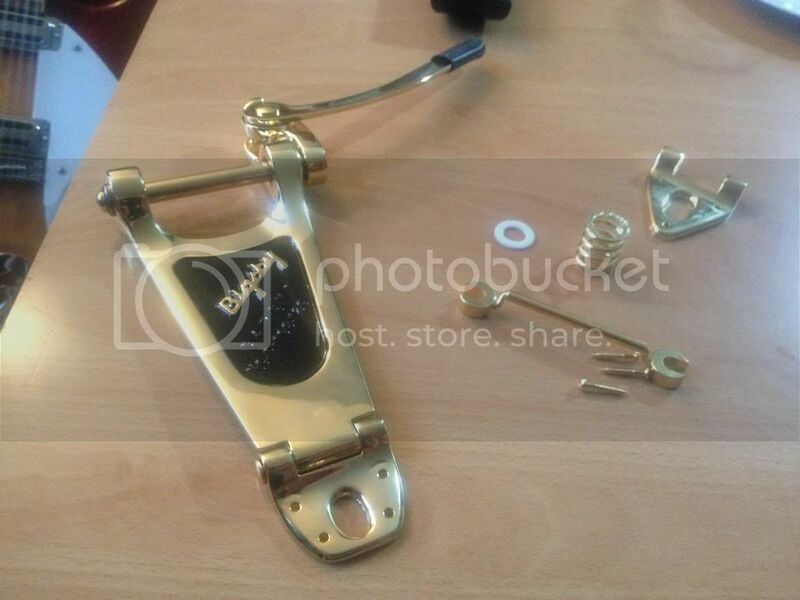 It took forever for my Bigsby B6G to show up – distributor issues and then no stock at Bigsby… But it finally made it. 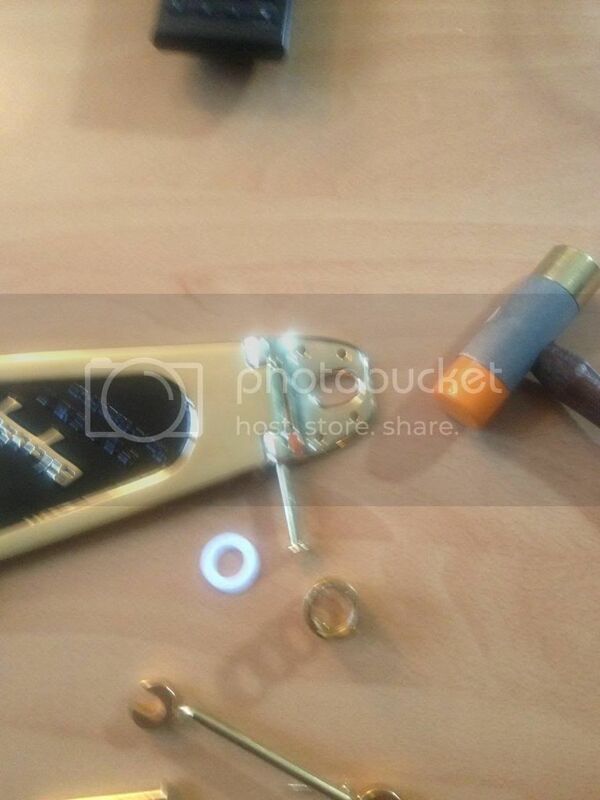 A few other things did too – a set of gold plated Grover Roto-grip locking tuners – installed once I swapped the stock Imperial style buttons onto the Rotogrips and then the needed items for the surgery. 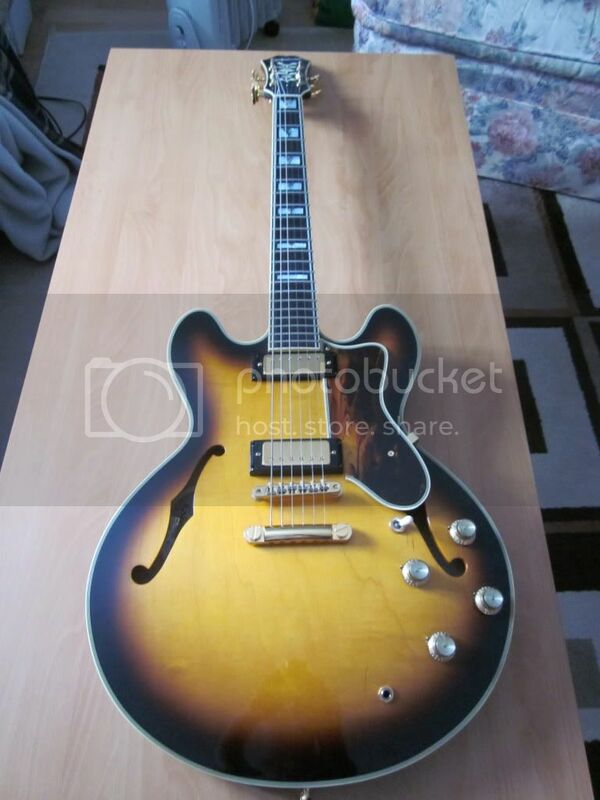 All parts are obviously gold to match the existing hardware on the guitar. 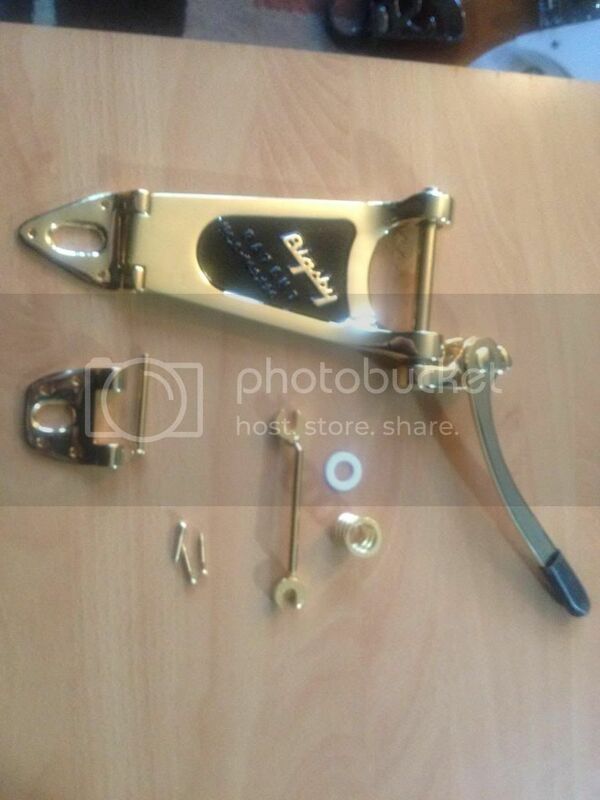 Bigsby B6 hinge plate assembly installed. The Towner down tension bar is made for standard stop-tail posts. I didn’t have those. This turned out to be a problem – the posts were to thick to slide into the fittings for of the Towner down tension bar. *SOLUTION: See TOWNERUSA.com for metric studs with appropriate neck width for Towner Down Tension Bar. I’m very happy. In the end the hinge looks great and very clean. 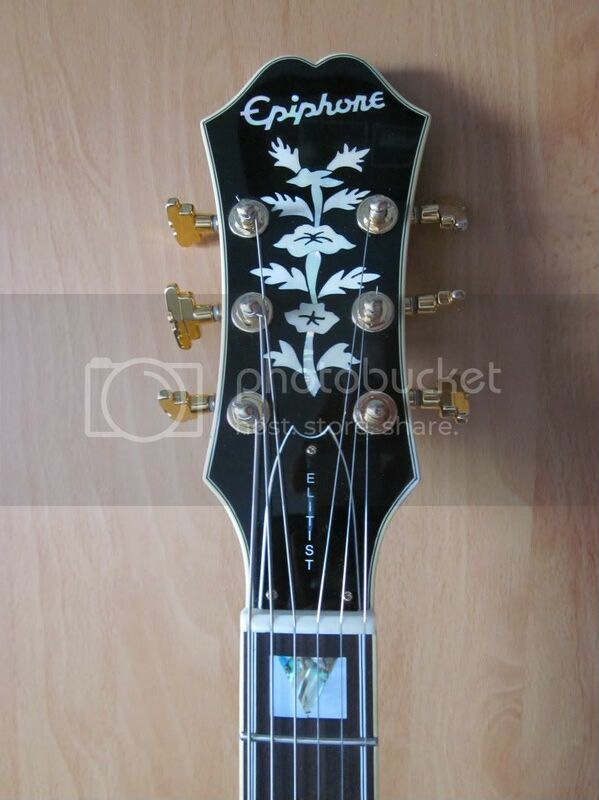 It might be my favorite guitar I’ve ever had at this point – certainly the prettiest. 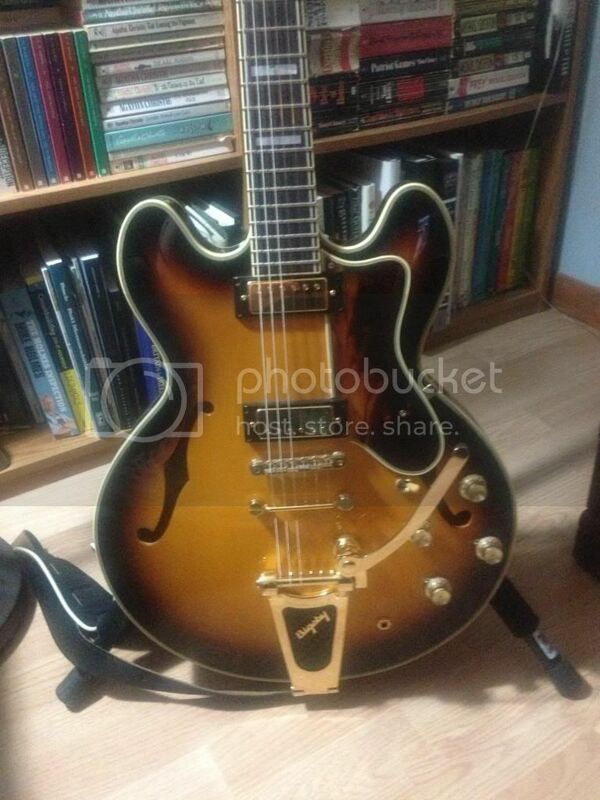 I am needing a single Bigsby mounting screw – the B6 only uses three but the B7 uses four… but I’ll find something suitable soon enough. I will be ordering a TonePros roller bridge today for the last piece of the puzzle.